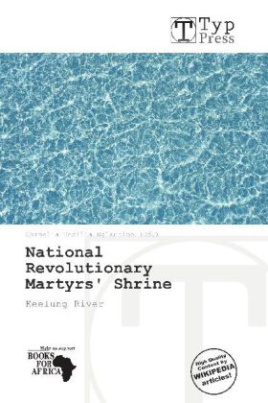 The National Revolutionary Martyrs' Shrine ( ) is a shrine in Taipei City, Taiwan, dedicated to the war dead of the Republic of China. Built on Chingshan Mountain and overseeing the Keelung River in Taipei's Zhongshan District in 1969, the Martyrs Shrine recalls the architecture of the Hall of Supreme Harmony in Beijing's Forbidden City. The structure houses the spirit tablets of about 390,000 persons killed, among other engagements, during the Xinhai Revolution, Northern Expedition, Second Sino-Japanese War, Chinese Civil War, and the First and Second Taiwan Strait Crises.